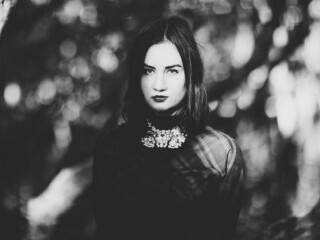 Australian artist Meg Mac released her music video supporting latest single Never Be. It is the first taste of her upcoming debut LP, expected to be out near the end of the year. After her great ballad released last year Roll Up Your Sleeves, Australian artist Meg Mac signed with an US record label to produce her debut LP, and recently shared the video premiere of her single Never Be, a track she wrote while in her car, "tapping the steering wheel and singing over the top". It all must’ve come natural, right? That’s how the video has turned out also, natural and real, as she shot it with some ocean waves crashing around her while standing on a cliff top. In her own words, that was "a larger than my life landscape … to feel I am a part of something bigger and out of my control". The 25-year-old singer supported in 2015 the neo soul singer-songwriter D’Angelo on his North American tour; she is now touring in Australia. Watch her new video clip below, and enjoy the music.